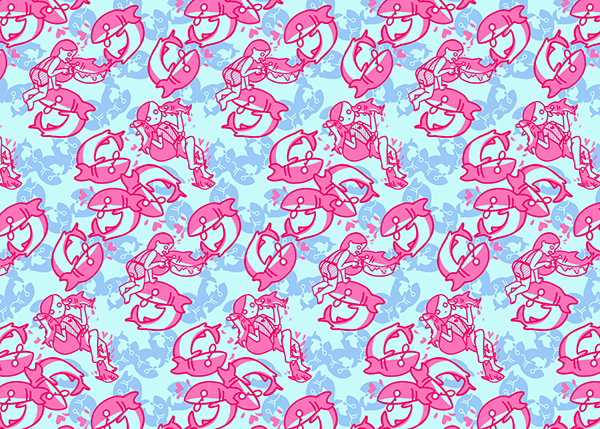 Designed a pattern based on playful sharks in the water with a surprised diver. After figuring out how to turn my image into a seamless pattern, I proceeded to transfer the image onto my silk screen. I separated each color of the pattern into separate layers. 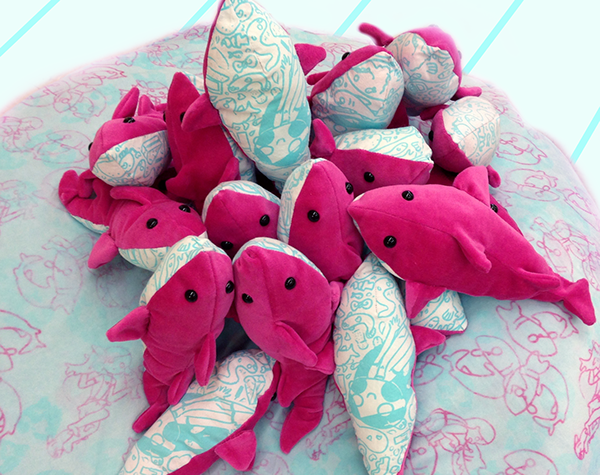 The sky blue shark babies in the back, the magenta outline of the sharks in the very front, and finally the lighter pink fill of those bigger sharks. 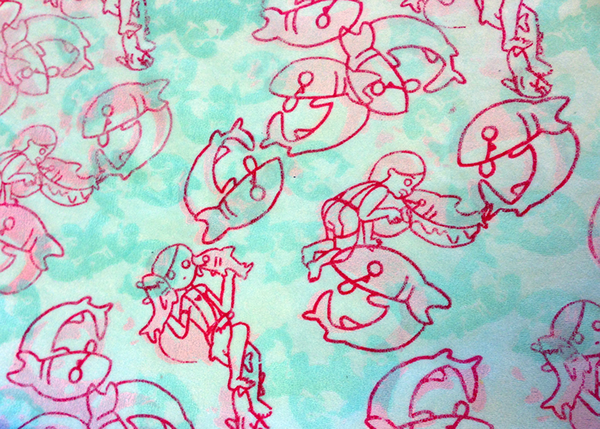 After that, I transferred the images separately to my silkscreen and proceeded to print on cotton velour fabric. 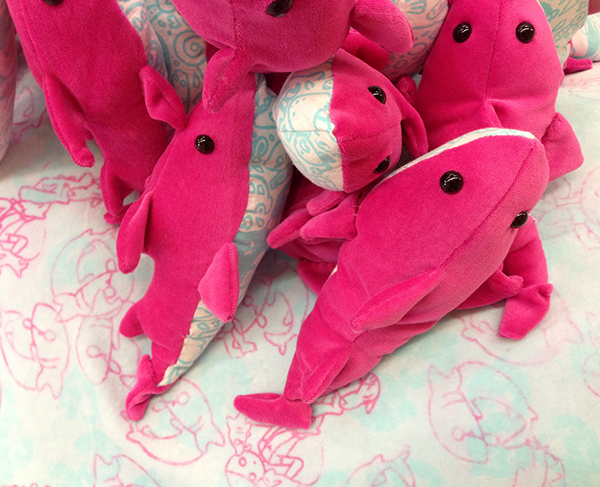 As part of my Silk screening class's pattern exchange, I decided to go along with my shark theme and make shark plushies for everyone in the class. 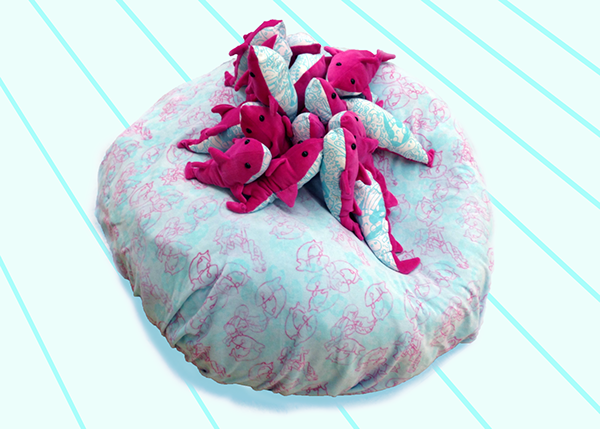 The belly of the sharks were silk screened onto straight cotton fabric. 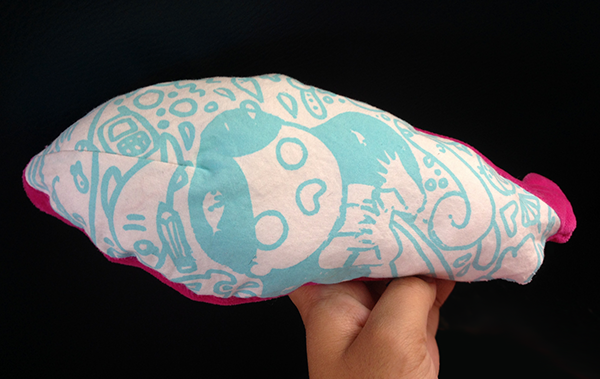 Finally, I made a bean bag chair out of that hand-printed fabric! 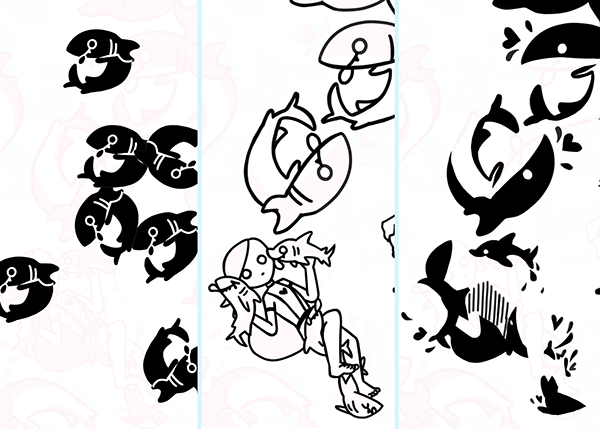 Screen printing sharks on fabric & turning fabric into sharks.